Gawdzilla Sama wrote: Justin, will you give the name of the last person to talk you out of suicide? I want to find them and slap them. Funny for a Skeptic to talk about suicide. I pointed to their underlying insecurity which appears to be more serious than Skeptics brains emitting fear signals that disrupt irrational thought. I would suggest tree climbing as a therapeutic remedy to rediscovering their roots and getting back into the swing of things. All that tells us is you found the post so funny you left your dentures behind. justinrapper wrote: All that tells us is you found the post so funny you left your dentures behind. Everything you post is a joke, and I do love to laugh at you. It has been said I am not without humor. Humor? Damn, I thought that was tumor. Wishful thinking. Gawdzilla Sama wrote: That was extraordinarily helpful. Gawdzilla Sama wrote: Humor? Damn, I thought that was tumor. Wishful thinking. All my post are written with humor intended. I am dealing with Skeptics or very insecure individuals and humor helps to capture their attention. That's the first funny post you've made, JR. Well done. (Not the first post of yours that made me laugh, I hasten to add, but the first funny one). 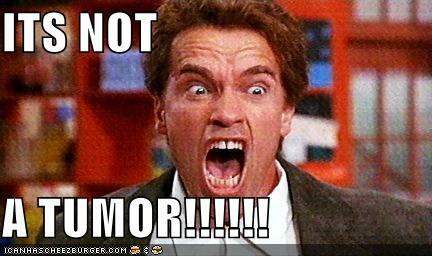 That is what Arnold yelled at his housemaid when she brought out the kitchen knife. Poodle wrote: That's the first funny post you've made, JR. Well done.